The lawsuit filed against Activision by two ex-Infinity Ward leads alleges that the publisher of its Modern Warfare games carried out an "Orwellian," "pre-ordained" investigation designed to "manufacture a basis to fire" them in order to avoid paying them bonuses. That suit, filed in the Los Angeles Superior Court on March 3, was filed by founders Jason West and Vince Zampella in an attempt to be paid royalties earned from the release of Call of Duty: Modern Warfare 2 and to regain rights to the Modern Warfare line of games. West and Zampella's lawsuit claims that Activision is simply trying to withhold (or reduce) bonus payment on the billion dollar selling Modern Warfare 2. In a dig at the publisher's CEO Bobby Kotick, the suit notes this is "not surprising, given that Activision is run by a CEO who has been publicly quoted as believing that the best way to run a videogame studio is to engender a culture of 'skepticism, pessimism, and fear' and who prefers to pay his lawyers instead of his employees." The two are seeking "in excess of $36 million" in damages. In the suit, Infinity Ward's ousted founders claim that Activision refused to honor its agreements with the development studio, agreements that granted the Call of Duty creators creative authority over "any Call of Duty game set in the post-Vietnam era, the near future or the distant future" and any title under the Modern Warfare brand. No such game, the suit reads, "can be commercially released without the written consent of West and Zampella." That agreement, legally a Memorandum of Understanding, was signed by West, Zampella, and Activision Publishing president Mike Griffith in March of 2008. 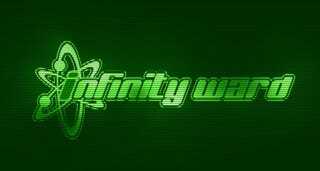 That MOU, the lawsuit explains, was signed to induce the two to continue as co-heads of Infinity Ward, grant certain royalty arrangements for Modern Warfare 2 sales and games built on Infinity Ward's technology, and to "ensure that Infinity Ward employees received rewards for their hard work." The suit against Activision contends that the publisher opted not to honor the MOU or West and Zampella's employment agreement, but to "launch a pre-textual investigation…to create a basis to fire the two co-heads of Infinity Ward before the first Modern Warfare 2 royalty payment would be paid..."
"From the very beginning, it was clear that the purpose of the investigation was not to uncover any facts concerning any actual wrongdoing, but to manufacture a basis to fire West and Zampella," the lawsuit reads. West and Zampella claim that the publisher refused to explain the basis of the investigation, insisting "in Orwellian fashion" that the two "already have a clear understanding of what they have or have not done." "Anything less than their full cooperation with the inquisition would constitute 'insubordination," which would justify the firing of Zampella and West. "Activision conducted the investigation in a manner designed to maximize the inconvenience and anxiety it would cause West and Zampella," the lawsuit claims, alleging that the two were "interrogated for over six hours in a windowless conference room" and that other Infinity Ward employees were "brought…to tears" by Activision investigators. The ousted Infinity Ward heads believe that the investigation was "a charade," citing "trumped up grounds for termination" and "charges that were disproved in the investigation" at the root of their March 1 dismissal. Activision, they claim, had "already made up its mind" to terminate the two in an attempt to deny them payment. We've reached out to Activision reps for comment on the suit, but have not yet received a response. To read the full court document filed by West, Zampella and their legal team, and obtained by Kotaku, head over here.